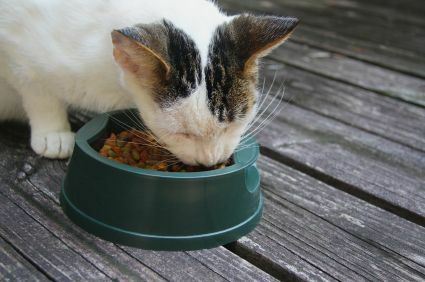 The Food and Drug Administration is investigating a pet food company with a series of contaminated products that have sickened several animals and killed one. Darwin's Natural Pet Products, located in Tukwila, has issued several recalls relating to salmonella and/or listeria since October 2016. In addition to reports of salmonella contamination, the FDA reports complaints of at least three animals injured by bone shards founds in raw food products. The FDA says the treats are frequently purchased at pet stores. FOR IMMEDIATE RELEASE – July 23, 2015 – Manchester, CT – Bravo Pet Foods of Manchester, CT is recalling select lots of Bravo Chicken pet foods for dogs and cats due to concerns of the possible presence of Salmonella. The recall was initiated after routine testing by the New York State Department of Agriculture revealed the presence of Salmonella spp. Poly A contamination. All products tested negative by a third party independent laboratory prior to release for distribution to consumers. No additional products are affected by this recall. The company has received no reports to date of illness in either people or animals associated with these products. Salmonella can cause serious illness or fatal infection in young children, frail or elderly people, and others with weakened immune systems. Although healthy individuals may suffer only short term symptoms such as high fever, severe headache, stiffness, nausea, abdominal cramping and diarrhea. Consumers exhibiting these signs after having contact with this product should contact their healthcare providers. Always use proper caution when handling raw foods. The following product is being voluntarily recalled because of the possible presence of Salmonella. Product Item # Size Best Used by UPC Bravo Blend Chicken diet for dogs & cats - Chub 21 - 102 2 lb (32 oz.) chub 12-05-16 829546211028 105 cases of this product were sold to distributors, retail stores, internet retailers and directly to consumers in the US. These products DID NOT test positive for Salmonella, but are also being voluntarily recalled out of an abundance of caution because they were manufactured in the same manufacturing facility on the same day as the product that tested positive. Product Item # Size Best Used by UPC Bravo Balance Chicken Dinner for dogs - Patties 21 - 401 3 lb (48 oz.) bag 12-05-16 829546214012 Bravo Balance Chicken Dinner for dogs - Chub 21 - 402 2 lb (32 oz.) chub 12-05-16 829546214029 Bravo Blend Chicken diet for dogs & cats - Patties 21 - 508 5 lb (80 oz.) bag 12-05-16 829546215088 These products were sold to distributors, retail stores, internet retailers and directly to consumers in the US. The recalled product should not be sold or fed to pets. Pet owners who have the affected product at home should dispose of this product in a safe manner (example, a securely covered trash receptacle). To submit a claim, pet owners should return to the store where they bought the product. To get a refund at the store where you bought the product: Customers should return to the store where they purchased the product and submit the Bravo Recall Claim Form available on the Bravo website http://www.bravopetfoods.com/consumerrecall.html for a full refund or store credit. See Bravo Product Claim Form for details. More information on the Bravo recall can also be found at www.bravopetfoods.com, or call toll free (866) 922-9222 Monday through Friday 9:00 am to 4:00 pm (EST). FDA Alerts Veterinarians and Pet Owners Not to Use Prescription Center Pharmacy ProductsApril 2, 2015The U.S. Food and Drug Administration’s Center for Veterinary Medicine is urging veterinarians and pet owners not to use products made and distributed by the Prescription Center pharmacy, located at 915 Hay St., Fayetteville, North Carolina.In an inspection conducted in March by the North Carolina Board of Pharmacy (NC BOP), state inspectors observed significant deficiencies that raise concerns about the company’s ability to assure the sterility, stability and potency of the sterile and non-sterile human and veterinary drug products that it produced. The Prescription Center has been closed by order of the NC BOP, and the NC BOP has ordered a recall of all lots of sterile and non-sterile products compounded or repackaged and distributed by the Prescription Center between Sept. 10, 2014, and March 10, 2015.Drug products made by the Prescription Center have been distributed nationwide and to Canada. Although the FDA is not aware of any adverse events associated with these products, due to concerns about a lack of sterility assurance and other conditions at the facility, and out of an abundance of caution, the FDA and the NC BOP are advising against their use. Veterinarians should check their medical supplies, quarantine any drug products from the Prescription Center and should not administer or prescribe them to their patients. Pet owners should check their pet’s medications for products from the Prescription Center, safely dispose of them, and consult their prescribing veterinarian for alternative medications.Veterinarians or pet owners who note adverse reactions or quality problems with the use of these products may report them to the FDA’s MedWatch Adverse Event Reporting program:Submit FORM FDA 1932a (download PDF), which is a pre-addressed, prepaid postage form that can be completed or dropped in the mail; orCall the Center for Veterinary Medicine: 1-888-FDA-VETS. Leave your name, address, phone number, and the brand name of the drug involved. Ask to have a Form FDA 1932a sent to you.Veterinarians and pet owners may also report adverse events to the NC BOP:Online at complaints@ncbop.org Via fax at 919-246-1056The FDA will continue to work closely with the NC BOP to protect the public health. 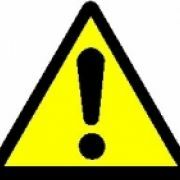 FOR IMMEDIATE RELEASE - June 2, 2014 - Hill’s Pet Nutrition, Inc. of Topeka, KS is voluntarily recalling 62 bags of Science Diet® Adult Small & Toy Breed™ dry dog food as they have the potential to be contaminated with Salmonella. The suspect product, part of a single production run, was distributed to 17 veterinary clinic and pet store customers in California, Hawaii and Nevada between April 24 and May 13, 2014. Salmonella can affect animals eating the products and there is risk to humans from handling contaminated pet products, especially if they have not thoroughly washed their hands after having contact with the products or any surfaces exposed to these products. Healthy people infected with Salmonella should monitor themselves for some or all of the following symptoms: nausea, vomiting, diarrhea or bloody diarrhea, abdominal cramping and fever. Rarely, Salmonella can result in more serious ailments, including arterial infections, endocarditis, arthritis, muscle pain, eye irritation, and urinary tract symptoms. Consumers exhibiting these signs after having contact with this product should contact their healthcare providers. Pets with Salmonella infections may be lethargic and have diarrhea or bloody diarrhea, fever, and vomiting. Some pets will have only decreased appetite, fever and abdominal pain. Infected but otherwise healthy pets can be carriers and infect other animals or humans. If your pet has consumed the recalled product and has these symptoms, please contact your veterinarian. This voluntary recall is limited to 62 15.5 lb. bags of Science Diet® Adult Small & Toy Breed™ dry dog food with the Stock-Keeping Unit (SKU) code, “Best before” date and production code shown below. This product was accidentally released, as revealed during a routine inventory reconciliation. All 17 affected customers have been contacted by Hill’s and there have been no reported illnesses related to this product to date. Product Name	Bag Size SKU	“Best Before” Date/ Production Code Science Diet® Adult Small & Toy Breed	15.5 lbs. 9097	08 2015 M094 The SKU number is located on the bottom of the bag, both side panels and on the back lower right hand corner below the UPC code. As illustrated below, the “Best before” date and production code is stamped on the top, middle of each bag. Consumers who may have purchased any of these specific 62 15.5 lb bags of Science Diet® Adult Small & Toy Breed™ dry dog food should discontinue use of the product and immediately call Hill’s Pet Nutrition at 1-800-445-5777 Monday-Friday during the hours of 7am-7pm (CT). Hill’s will arrange to collect the unused portion of the product at its own expense at a time convenient for the consumer and will provide a full refund. This voluntary recall does not impact any Science Diet® Adult Small and Toy Breed™ products with different “best before” dates or any other Science Diet products. Hill’s Pet Nutrition is dedicated to providing high-quality, safe products and regrets the need for this voluntary recall. For further information, please contact Hill’s Pet Nutrition, Inc. at 1-800-445-5777 Monday-Friday during the hours of 7am-7pm (CT). About Hill's Pet Nutrition Hill's Pet Nutrition Inc. manufactures Hill’s® Prescription Diet® brand pet foods, therapeutic pet foods available only through veterinarians, and Science Diet® and Ideal Balance™ brand wellness pet foods sold through veterinarians and pet specialty retailers. Founded more than 70 years ago with an unparalleled commitment to pet well-being, Hill's’ mission is to help enrich and lengthen the special relationships between people and their pets. For more information about Hill's, our products and our nutritional philosophy visit HillsPet.com, or visit us on Facebook, keywords "Hill’s Pet Nutrition."